Mariners manager Scott Servais said Ichiro will play Thursday, but didn’t say whether he’ll start. A’s manager Bob Melvin knows Ichiro from their days with the Mariners. It may not last long. 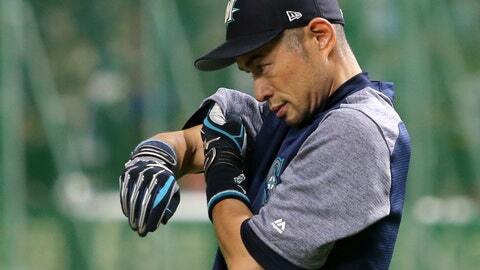 Neither the Mariners nor Ichiro are saying that happens next. But it seems likely he will not be on the Mariners’ 25-man roster when the regular season resumes with a four-game series in Seattle against the Boston Red Sox.